Last seen for $87.00 at JewelStreet. See more Designs by JAK Earrings. The Fiore Blossom Earrings by Designs by JAK. 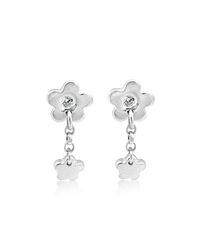 Part of the floral inspired Fiore Blossom Collection, these pretty sterling silver post and butterfly earrings have a main flower with a smaller flower dangling from it giving it plenty of movement. 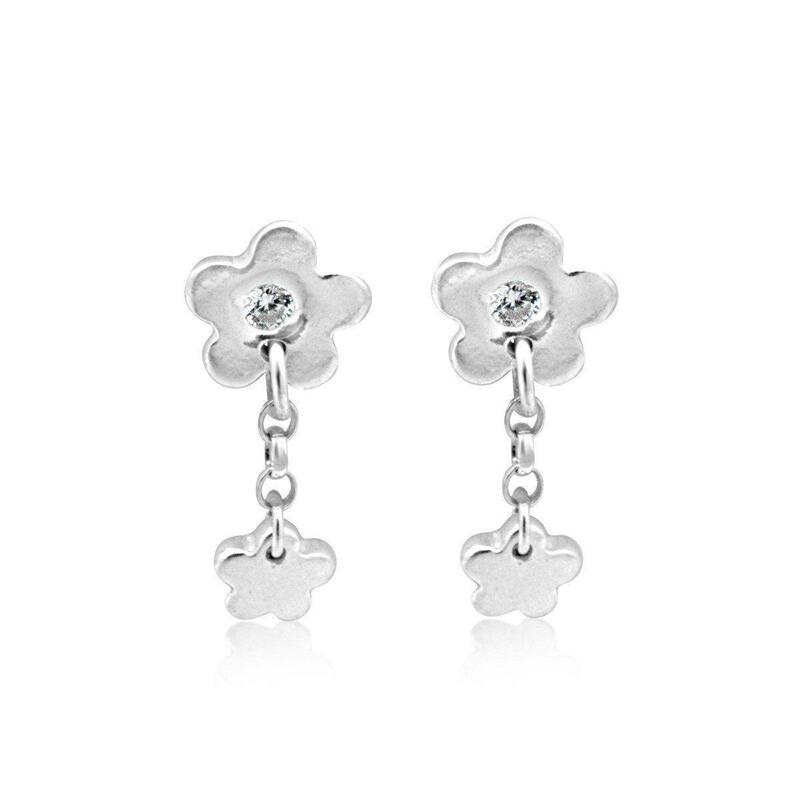 The main flower has a cubic zirconia in the middle. The drop is approximately 25mm / 1 inch. They come packaged in a pretty black presentation box. About the Designer: Based in Surrey, independent designer Jodi founded Designs by JAK, to encourage women to show off their personality in beautiful sterling silver. The rustic and unique pieces are handcrafted using traditional jewellery making techniques, forging one-of-a-kind designs. To find out more about the designer, please visit Designs by JAK.